Nadja Bobyleva and Christopher Denham in CAMERA OBSCURA. ©Chller Films. The thriller “Camera Obscura” will be available on VOD and Digital HD Tuesday June 13. The film stars Christopher Denham (Showtime’s “Billions”) and Catherine Curtin (Netflix’s “Stranger Things”). Aaron B. Koontz directed and co-wrote the film with Cameron Burns. The film is distributed by Chiller Films. “South Park: The Complete 20th Season” will be released on Blu-ray, DVD and in a Blu-ray/DVD Combo Pack with special vinyl-sized packaging (which will be available at Best Buy) on Tuesday June 13. The Emmy award-winning animated series follows four boys living in a wacky Colorado town. Between tragedies global and local, as well as parental and celebrity interference, Stan, Kyle, Cartman and Kenny manage to have themselves a time. 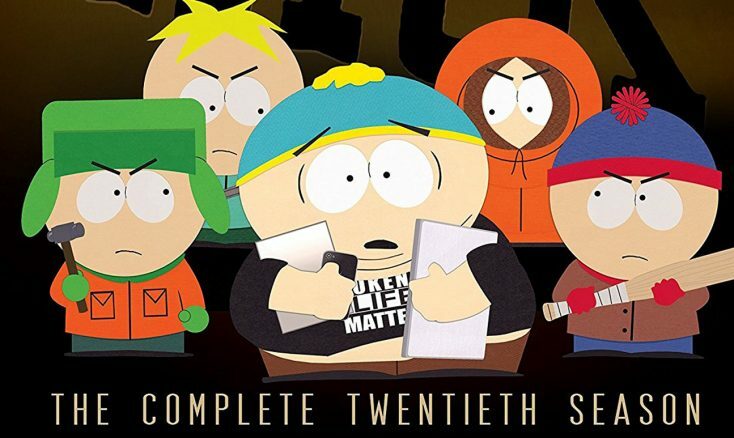 Special features include: South Park: By the Numbers, “South Park: The Fractured But Whole—E3 2016 Game Trailer,” “South Park: We’ve Been There,” Comic Con 2016—extended panel with creators Matt Stone and Trey Parker, as well as deleted scenes, commentary and #Social commentary (Blu-ray exclusive). Superstar Gwen Stefani’s animated series “Kuu Kuu Harajuku” arrives on DVD Tuesday June 13 from Shout! Factory in collaboration with DHX Media. The first installment, “Kuu Kuu Harajuku: Music, Baby!” contains 14 episodes from Season One. Initial shipments of the DVD contain a code to download the show’s theme song (while supplies last). The 2D-animated series currently airs on Nickelodeon in the U.S. and on Family Channel in Canada. The series follows the fun-filled adventures of the band HJ5—Love, Angel, Music, Baby and G—through their super kawaii (cute) world of music, fashion and style. The inspiration for this popular animated series came from Grammy-winning musician Stefani who wanted to create an animated series for girls that encourages and celebrates creative self-expression, imagination and individuality. The show’s setting is inspired by the exuberant street fashion and creative youth culture of the Harajuku district but it takes place in a magical fantasy world like nothing you’ve ever seen before. “Kuu Kuu Harajuku” is a co-creation and produced by Moody Street Kids (Australia), Vision Animation (Malaysia) along with Stefani, and commissioned by Network Ten with investment funding from Film Victoria (Australia) and MyCreative Ventures (Malaysia). DHX Media handles international distribution for the series, and licensed the series to Shout! Factory. Calling all Gwen Stefani fans! Front Row Features is giving away a copy of “Kuu Kuu Harajuku’s” first-ever DVD release, “Kuu Kuu Harajuku: Music, Baby!,” to three lucky readers. The DVD contains 14 episodes from Season One of the animated series, which was co-created by the former No Doubt singer/“The Voice” judge. To enter the contest, simply email socalmovieeditor@aol.com by Monday June 19 for your chance to win. Good luck! Next PostPhotos: ‘South Park,’ ‘Kuu Kuu Harajuku,’ More on Home Entertainment … plus a giveaway!! !